Info Marble - How is it Formed? 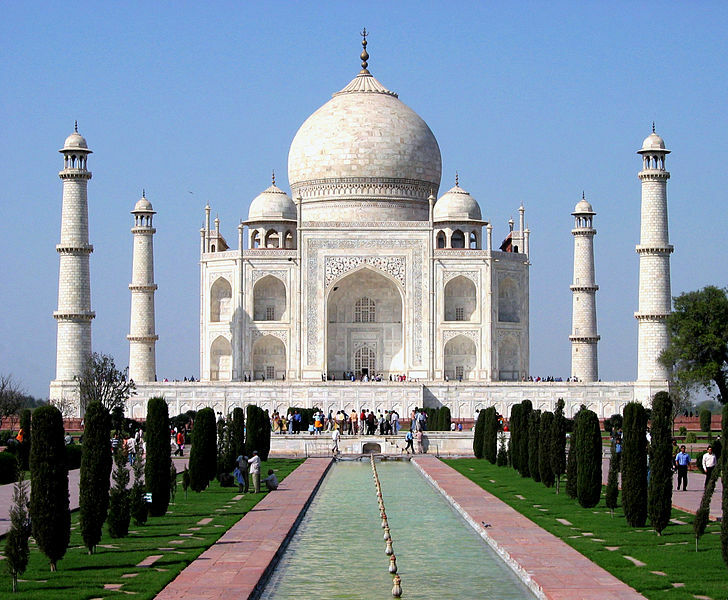 Taj Mahal, world-famous monument made of high calcite marble. Marble is formed from limestone by heat and pressure in the earth's crust. These forces cause the limestone to change in texture and makeup. This process is called recrystallization. Fossilized materials in the limestone, along with its original carbonate minerals, recrystallize and form large, coarse grains of calcite. Impurities present in the limestone during recrystallization affect the mineral composition of the marble that forms. At relatively low temperatures, silica impurities in the carbonate minerals form masses of chert or crystals of quartz. At higher temperatures, the silica reacts with the carbonates to produce diopside and forsterite. 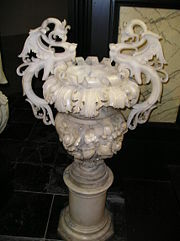 At extremely high temperatures, rarer calcium minerals, such as larnite, monticellite, and rankinite, form in the marble. If water is present, serpentine, talc, and certain other hydrous minerals may be produced. The presence of iron, alumina, and silica may result in the formation of hematite and magnetite. The minerals that result from impurities give marble a wide variety of colors. The purest calcite marble is white. Marble containing hematite has a reddish color. Marble that has limonite is yellow, and marble with serpentine is green. Pure white marble is the result of metamorphism of very pure limestones. The characteristic swirls and veins of many colored marble varieties are usually due to various mineral impurities such as clay, slt, sand, iron oxides, or chert which were originally present as grains or layers in the limestone. Green coloration is often due to serpentine resulting from originally high magnesium limestone or dolostone with silica impurities. These various impurities have been mobilized and recrystallized by the intense pressure and heat of the metamorphism. 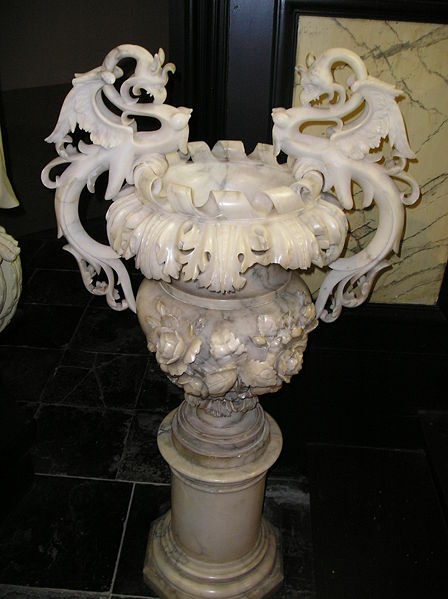 Marble has long been highly valued for its beauty, strength, and resistance to fire and erosion. The ancient Greeks used marble in many buildings and statues. The Italian artist Michelangelo used marble from Carrara, Italy, in a number of sculptures. Marble from Tennessee was used in parts of the National Gallery of Art in Washington, D.C. The Lincoln Memorial, also in Washington, was built of marble from Alabama, Colorado, and Georgia. 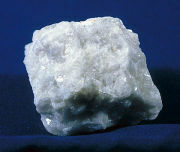 Extremely pure calcite marble is used for most statues. This kind of marble is translucent--that is, light penetrates a short distance below the surface of the marble before it is reflected. Large blocks of colored marble are used for columns, floors, and other parts of buildings. Smaller pieces of such marble are crushed or finely ground and used as abrasives in soaps and other products. Crushed or ground marble is also used in paving roads and in manufacturing roofing materials and soil treatment products. Marble dust can be combined with cement or synthetic resins to make reconstituted or cultured marble. Contributor: Robert W. Charles, Ph.D., Group Leader, Univ. of California, Los Alamos National Laboratory.